Apple seeded beta 2 just two weeks after iOS 12 debuted onstage at WWDC 2018. This major update for iPhone and iPad has new Memoji characters, digital health features, Group FaceTime, redesigned notifications and a whole lot more. So far, AppleInsider has been able to track down a total of 150 new features. 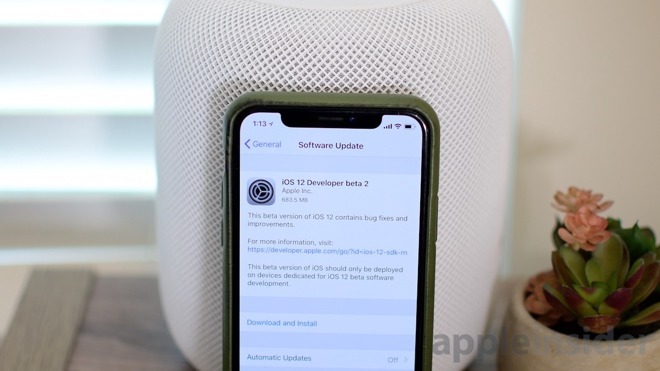 As far as what has changed since the original beta, the list is considerably smaller; AppleInsider managed to dig up over 30 changes in beta 2. Watch our quick video to see the updates for yourself.